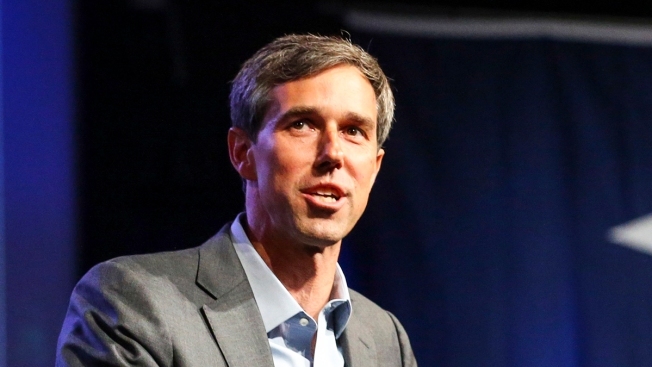 U.S. Rep. Beto O'Rourke — a potential candidate in the 2020 presidential election — is calling for donations and help after U.S. Immigration and Customs Enforcement dropped off hundreds of migrants at the El Paso, Texas, bus station. O'Rourke, whose term representing El Paso expires shortly, posted on Twitter Monday that local shelter Annunciation House needed fresh fruit and unworn clothing. If you're in the El Paso area, could use your help dropping off fresh fruit -- especially apples, oranges, tangerines, and bananas. They can be brought to the donation site at 1003 E San Antonio Ave.
ICE dropped off the migrants Sunday and Monday at the local Greyhound station, with more buses of people expected on Christmas day. O'Rourke said the total number of migrants released by ICE could exceed 800 by Wednesday. The agency typically coordinates with local shelters to make sure there is space for them to stay. But U.S. Rep.-elect Veronica Escobar, O'Rourke's successor, tells The Associated Press that ICE officials dropped people off at the bus station after Annunciation House said it didn't have enough space. "Our challenge is that, so far, ICE has been unable to give us enough of a heads up to have those beds ready so you don’t have migrants sitting on the sidewalk or in a parking lot or in a bus station or on a Sun Metro bus," O'Rourke told reporters Monday. The former Democratic candidate for Senate said ICE usually gives local shelters and the city 24 hours' notice to prepare to handle the migrants. 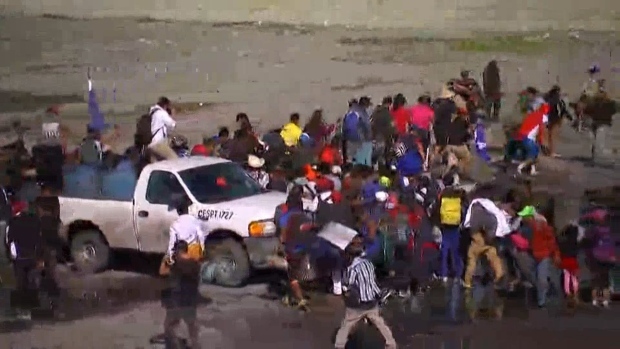 But that didn't happen Sunday night, leaving El Paso's Office of Emergency Management and local charities scrambling to deal with the influx. Escobar called ICE's action "really alarming." In a statement to NBC, ICE blamed lawmakers for the mass release, which the agency said was done to make sure that families are not held longer than they are legally allowed to be detained. "After decades of inaction by Congress, the government remains severely constrained in its ability to detain and promptly remove families with no legal basis to remain in the U.S. To mitigate the risk of holding family units past the timeframe allotted to the government, ICE has curtailed reviews of post-release plans from families apprehended along the southwest border," ICE said. It added, "ICE is redoubling its efforts to work with local and state officials and NGO partners in the area so they are prepared to provide assistance with transportation or other services."